By now you've most likely seen Q Source's lovable robot, Q-Bot. When Q-Bot's not zipping around our warehouse, or doing his part-time modeling gig as our Web site's mascot, we like to keep him busy reading your questions and comments. Using Q-Bot's quick computer brain—and our 25+ years of expert experience—we'll answer all your questions about Q Source, Inc., QSource.com, our services and products, and how we can provide the tools you need to get your projects done right. We also welcome your comments and feedback about how we're doing and what Q Source can do to become your #1 resource for Industrial Assembly and Production Solutions. 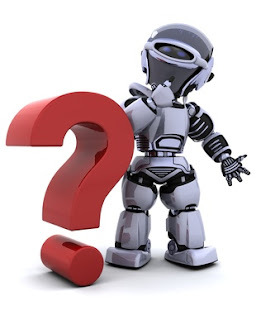 Submit your Questions for Q-Bot at QSource.com's Contact Us page, via Direct Message at Twitter.com, or on our Facebook page. We look forward to turning our little robot friend into an FAQ—a Frequently Asked Q-Bot.